Agency & Partnership Professor Donald J. Kochan Class 14. 3 Introduction Do you or must you know WHO you are really dealing with? How does that question affect responsibility and reliance? Do you or must you know WHO you are really dealing with? How does that question affect responsibility and reliance? 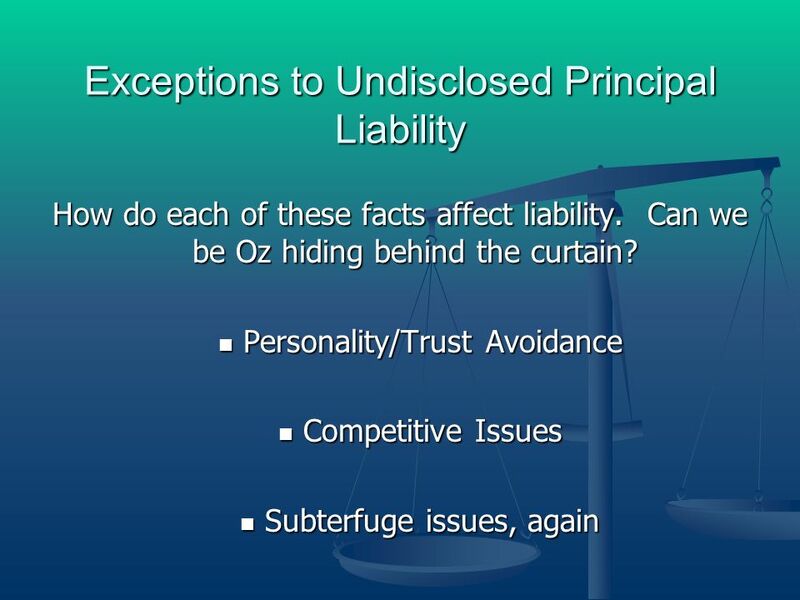 Must an agent disclose the identity of or existence of a principal? 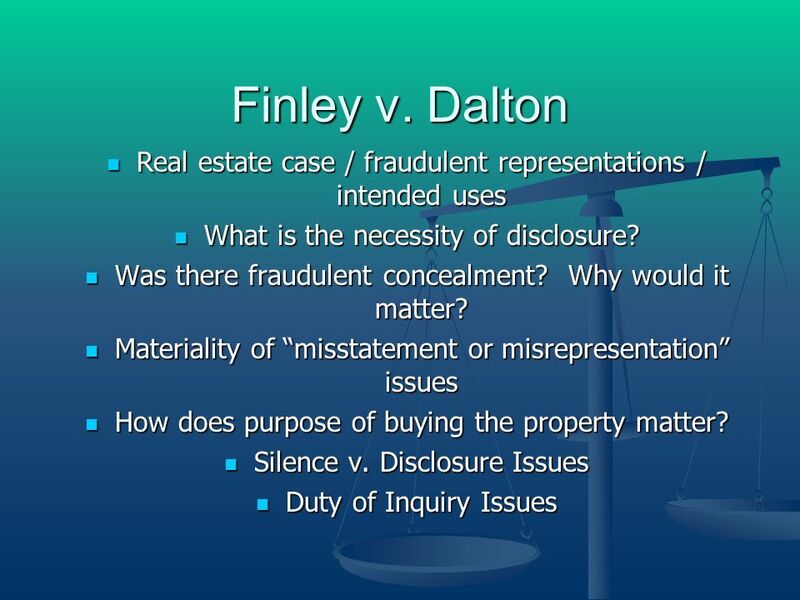 Must an agent disclose the identity of or existence of a principal? How is the agent responsible if or when he doesnt disclose a principal? How is the agent responsible if or when he doesnt disclose a principal? What are the monitoring responsibilities of a principal? 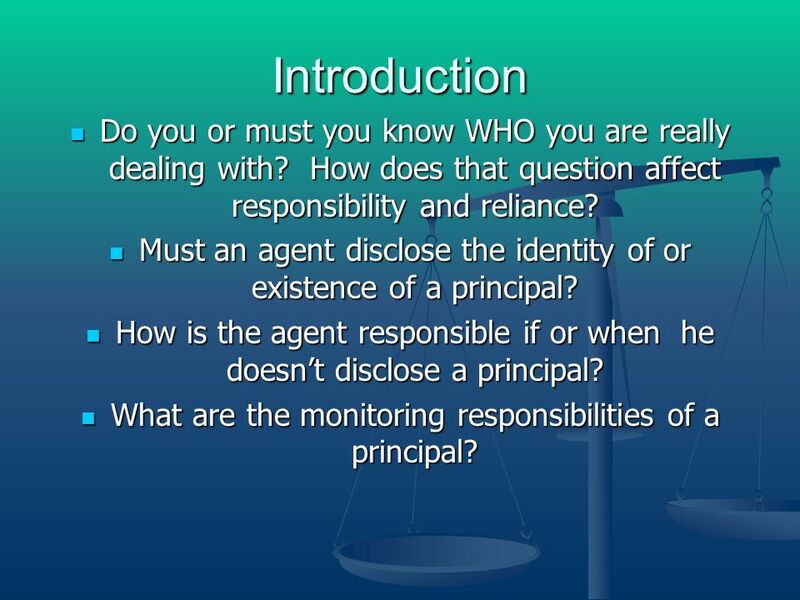 What are the monitoring responsibilities of a principal? 4 Restatement (Third) of Agency, sec. 1.04 (1) Coagents. Coagents have agency relationships with the same principal. 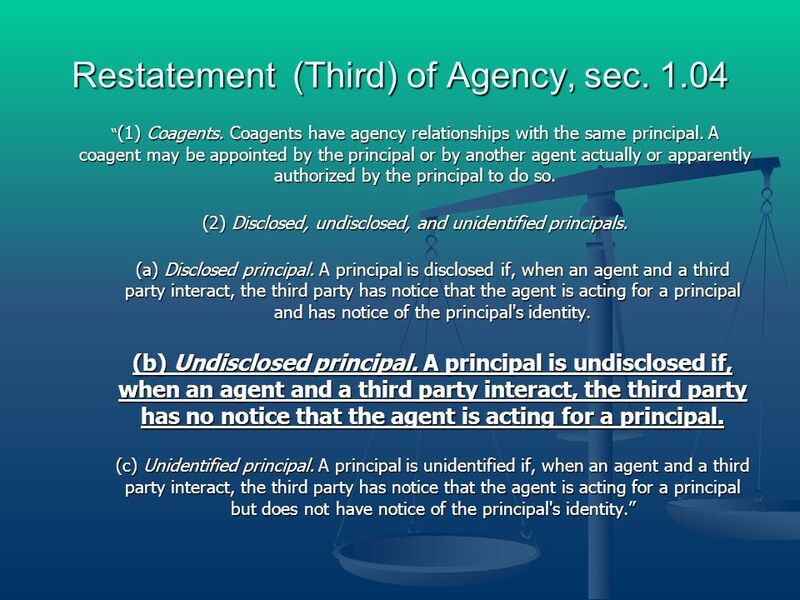 A coagent may be appointed by the principal or by another agent actually or apparently authorized by the principal to do so. (1) Coagents. Coagents have agency relationships with the same principal. A coagent may be appointed by the principal or by another agent actually or apparently authorized by the principal to do so. (2) Disclosed, undisclosed, and unidentified principals. (a) Disclosed principal. 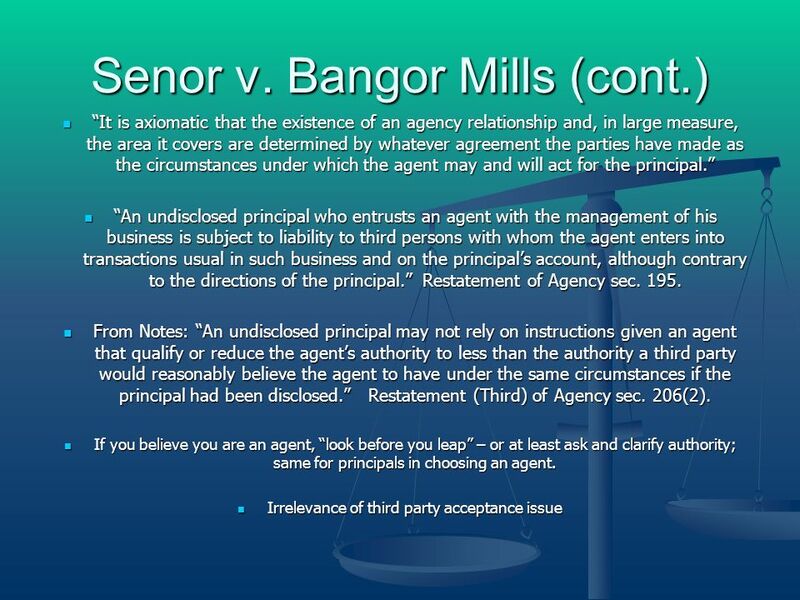 A principal is disclosed if, when an agent and a third party interact, the third party has notice that the agent is acting for a principal and has notice of the principal's identity. (b) Undisclosed principal. 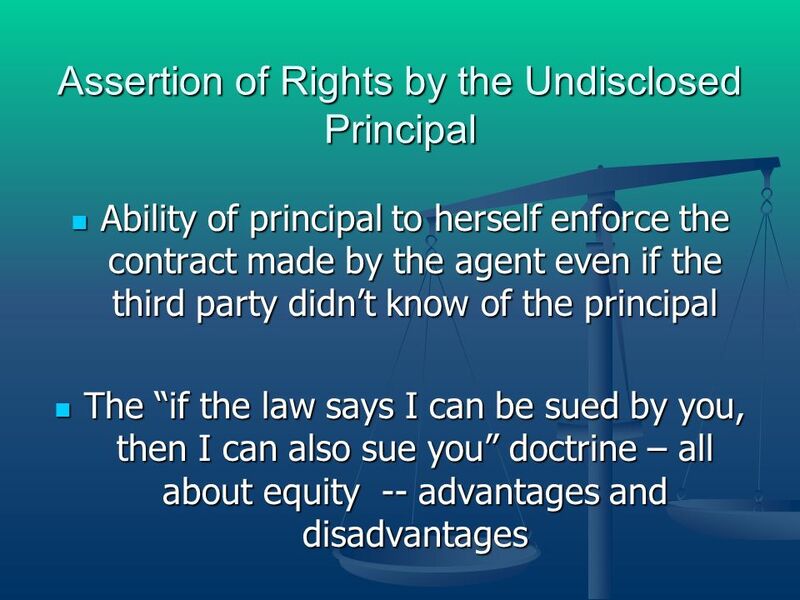 A principal is undisclosed if, when an agent and a third party interact, the third party has no notice that the agent is acting for a principal. (c) Unidentified principal. 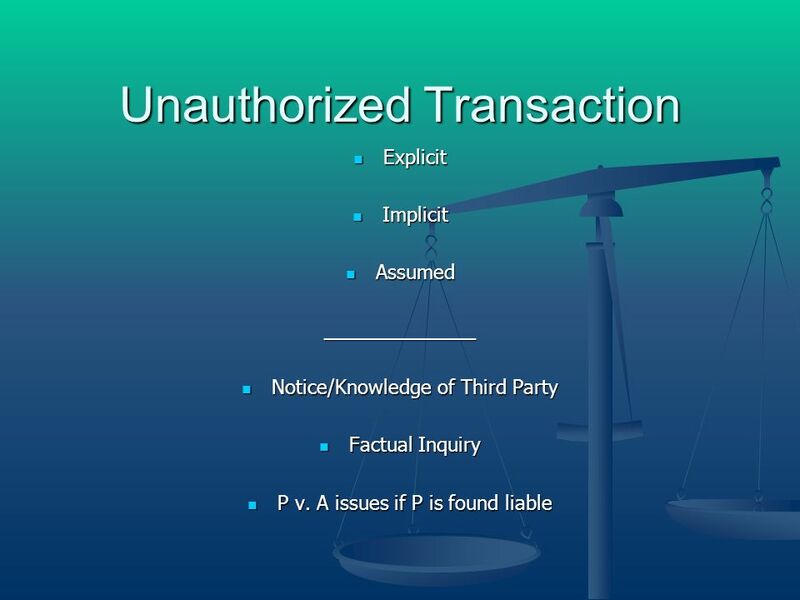 A principal is unidentified if, when an agent and a third party interact, the third party has notice that the agent is acting for a principal but does not have notice of the principal's identity. 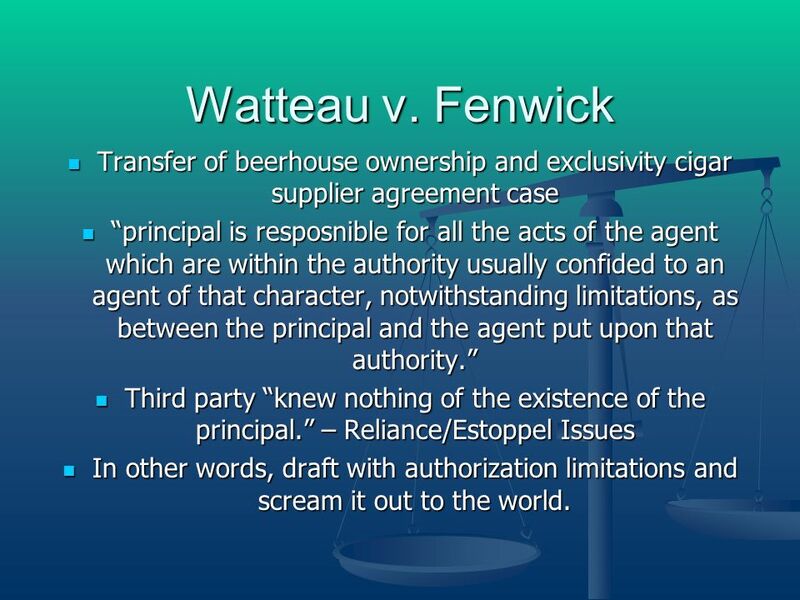 17 Watteau v. Fenwick Transfer of beerhouse ownership and exclusivity cigar supplier agreement case Transfer of beerhouse ownership and exclusivity cigar supplier agreement case principal is resposnible for all the acts of the agent which are within the authority usually confided to an agent of that character, notwithstanding limitations, as between the principal and the agent put upon that authority. 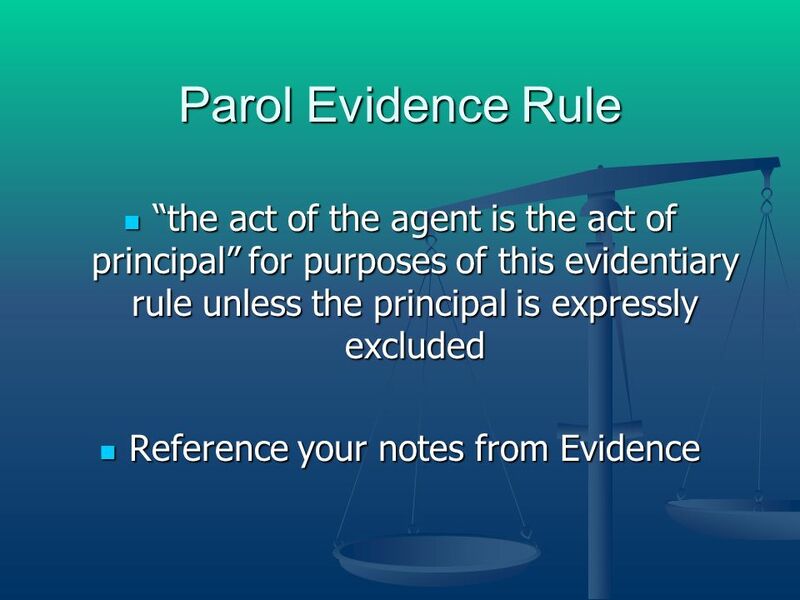 principal is resposnible for all the acts of the agent which are within the authority usually confided to an agent of that character, notwithstanding limitations, as between the principal and the agent put upon that authority. Third party knew nothing of the existence of the principal. 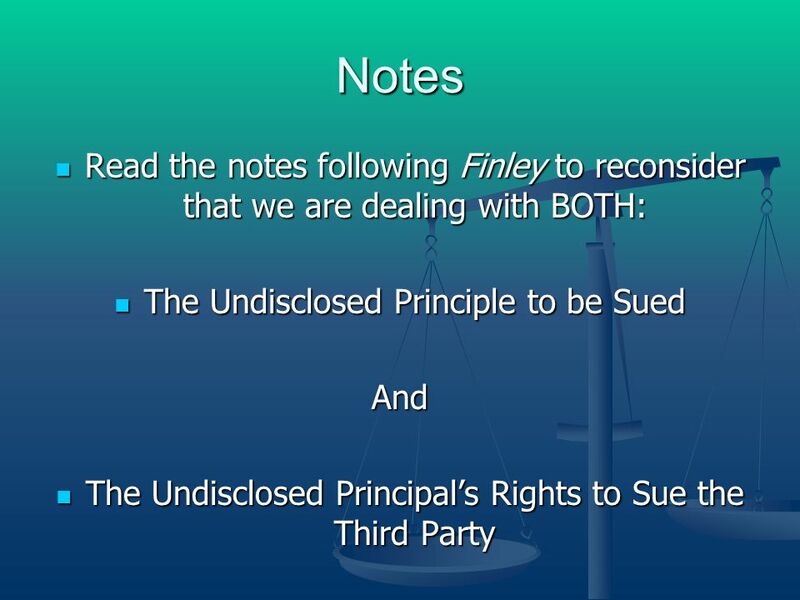 – Reliance/Estoppel Issues Third party knew nothing of the existence of the principal. – Reliance/Estoppel Issues In other words, draft with authorization limitations and scream it out to the world. In other words, draft with authorization limitations and scream it out to the world. 18 Restatement (Third) of Agency Sec. 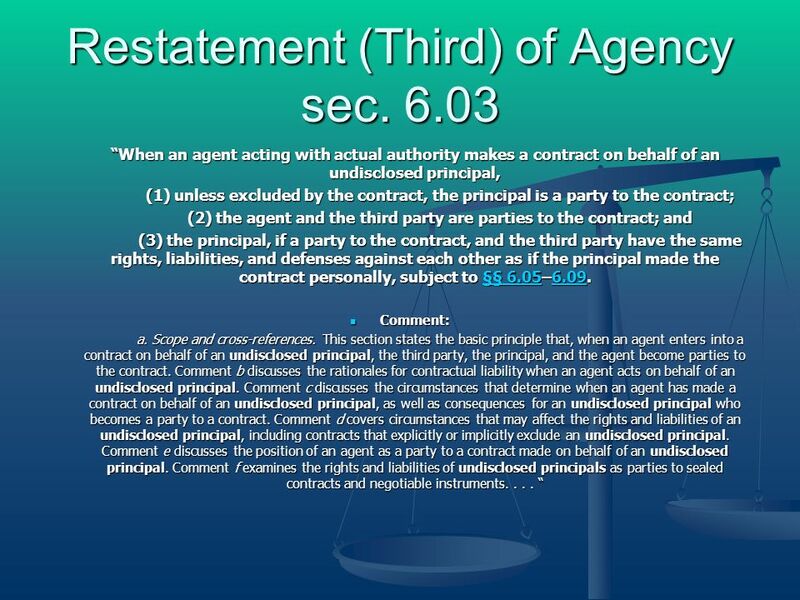 2.06 An undisclosed principal may not rely on instructions given an agent that qualify or reduce the agents authority to less than the authority a third party would reasonably believe the agent to have under the same circumstances if the principal had been disclosed. 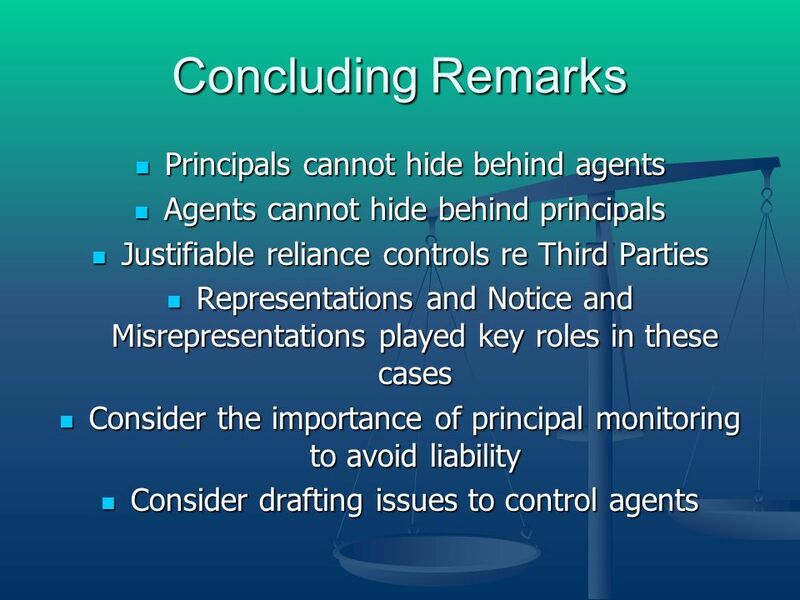 An undisclosed principal may not rely on instructions given an agent that qualify or reduce the agents authority to less than the authority a third party would reasonably believe the agent to have under the same circumstances if the principal had been disclosed. Reliance Issues/Reasonable Expectations Reliance Issues/Reasonable Expectations Does this give the agent too much discretion? Does this give the agent too much discretion? How does it incentivize principal monitoring? How does it incentivize principal monitoring? But, are not the efficiencies in agency that the principal can delegate and how do these rules affect that? 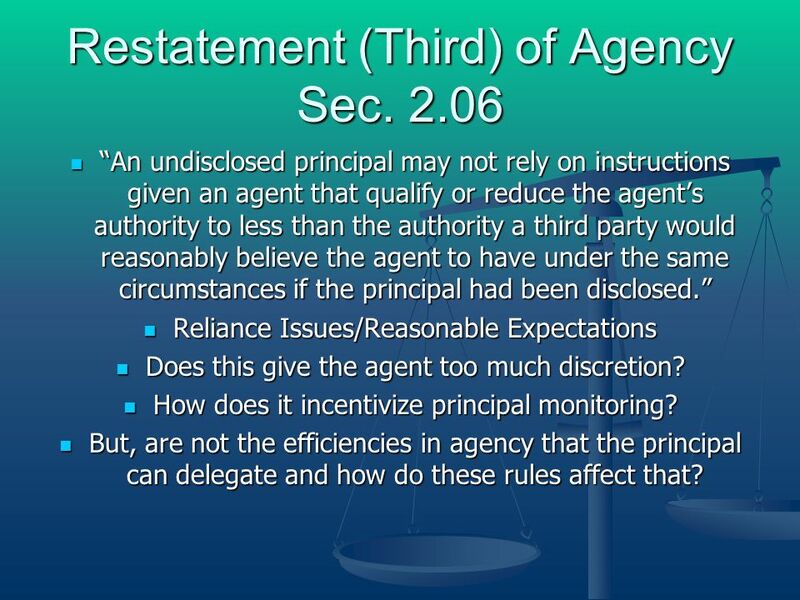 But, are not the efficiencies in agency that the principal can delegate and how do these rules affect that? 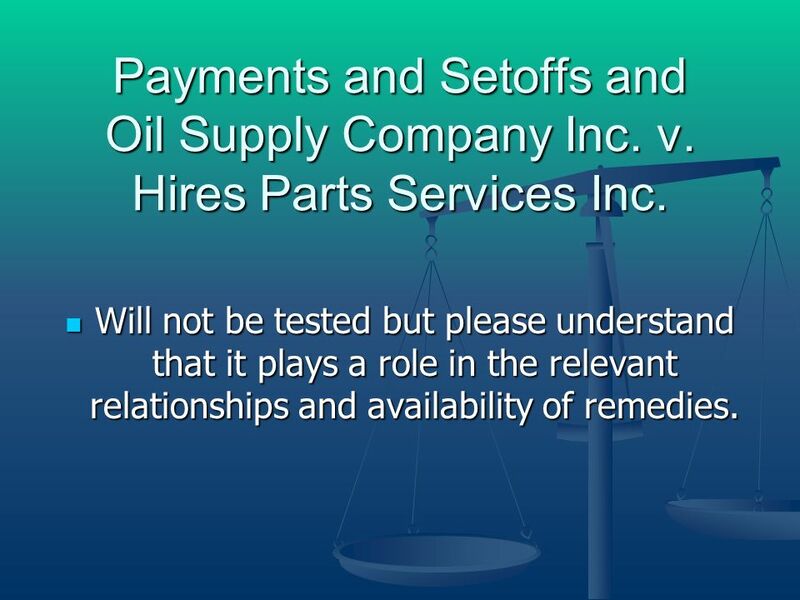 21 Payments and Setoffs and Oil Supply Company Inc. v. Hires Parts Services Inc. Will not be tested but please understand that it plays a role in the relevant relationships and availability of remedies. Will not be tested but please understand that it plays a role in the relevant relationships and availability of remedies. 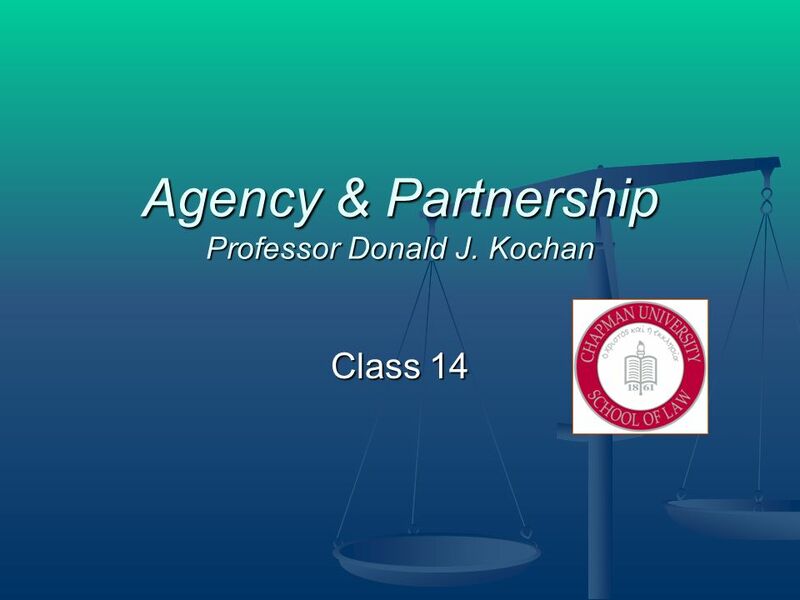 Download ppt "Agency & Partnership Professor Donald J. Kochan Class 14." Agency & Partnership Professor Donald J. Kochan Class 13. McGraw-Hill/Irwin Copyright © 2013 by The McGraw-Hill Companies, Inc. All rights reserved. 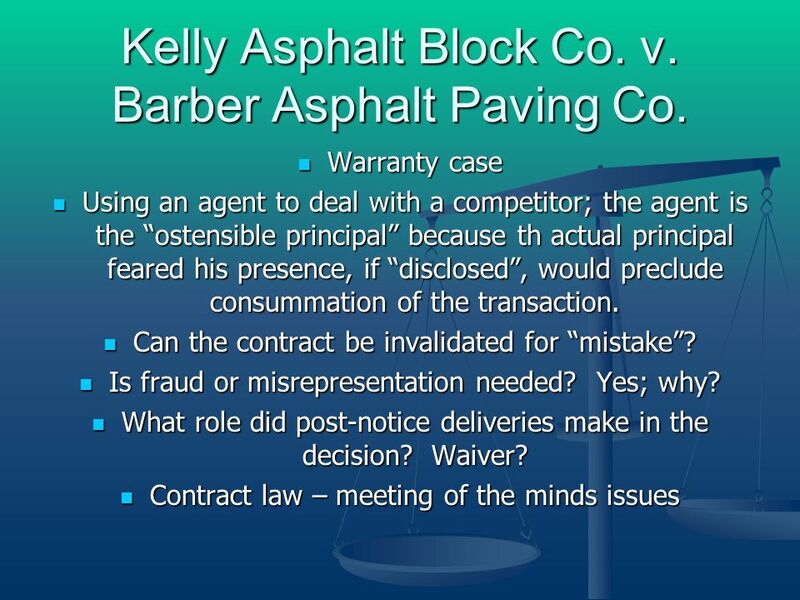 Chapter 19 Agency and Liability to Third Parties. 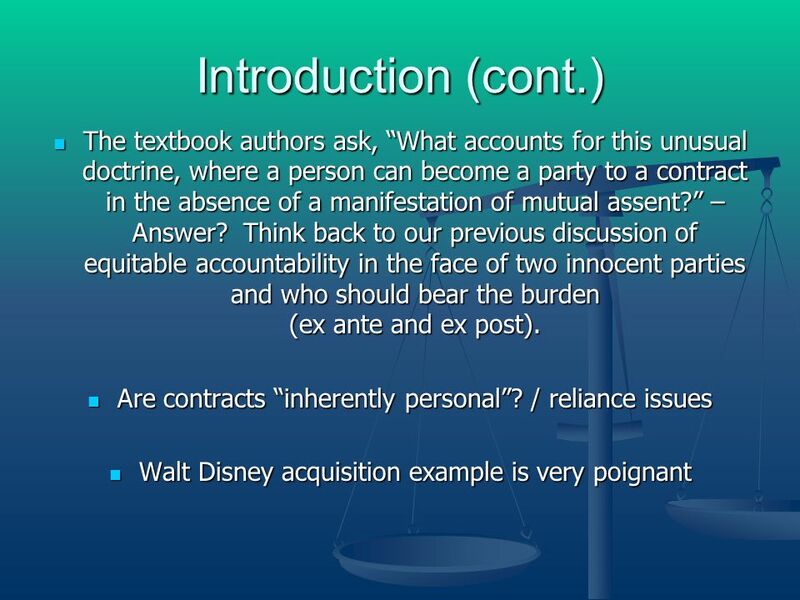 Chapter 1: Legal Ethics 1. © 2013 Cengage Learning. All Rights Reserved. May not be copied, scanned, or duplicated, in whole or in part, except for use. Chapter 32 Agency Liability to Third Parties and Termination BUSINESS LAW: Text & Cases — Legal, Ethical, International, and E-Commerce Environment 11. § 380(2) Where by the law of the place of wrong, the liability-creating character of the actor's conduct depends upon the application of a standard of. Essentials Of Business Law Chapter 17 Agency McGraw-Hill/Irwin Copyright © 2007 The McGraw-Hill Companies, Inc. All rights reserved. 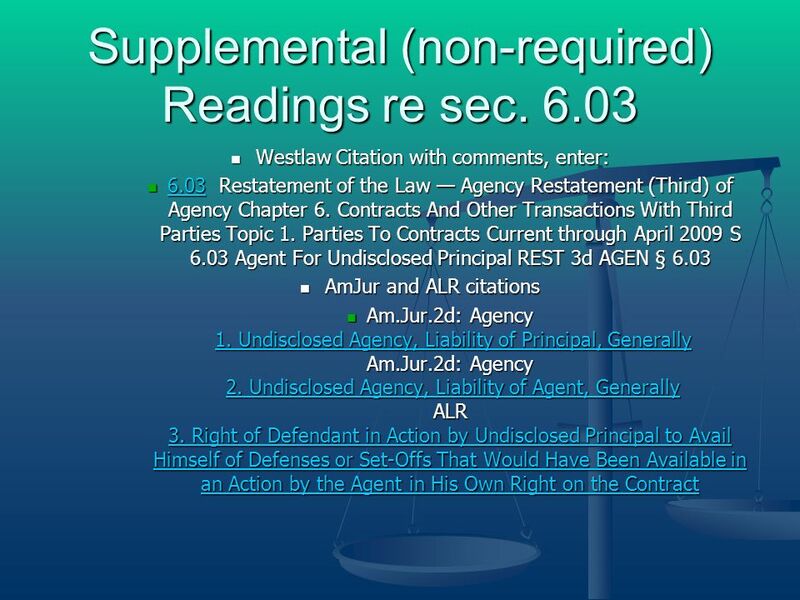 Copyright © 2008 by West Legal Studies in Business A Division of Thomson Learning Chapter 37 Agency Twomey Jennings Anderson’s Business Law and the Legal. 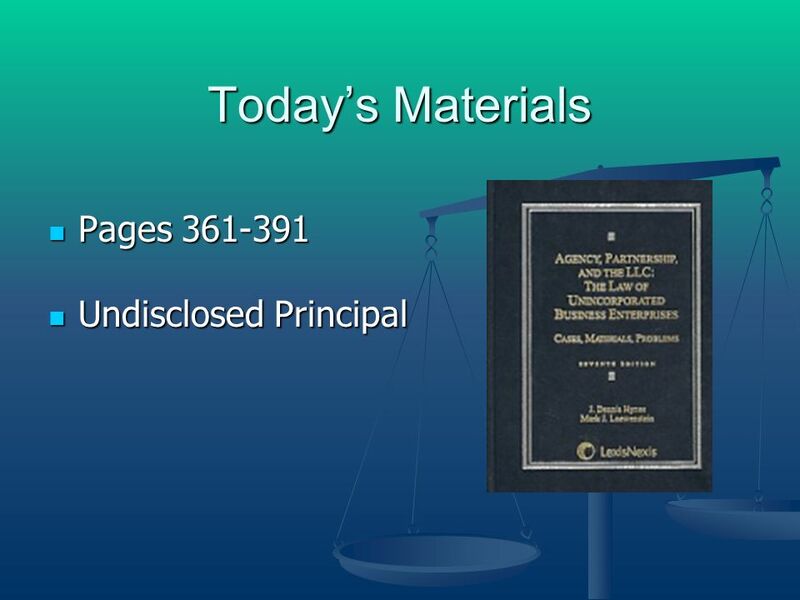 Business Law and the Regulation of Business Chapter 30: Relationship with Third Parties By Richard A. Mann & Barry S. Roberts. BELL QUIZ ON CHAPTER 5 What is any agreement that is enforceable by law? There are six elements of a contract. Name TWO. How many promises does a bilateral. $200 $300 $400 Final Jeopardy $100 $200 $300 $400 $500 $100 $200 $300 $400 $500 $100 $200 $300 $400 $500 $100 $200 $300 $400 $500 $100 PropertyPotpourri. 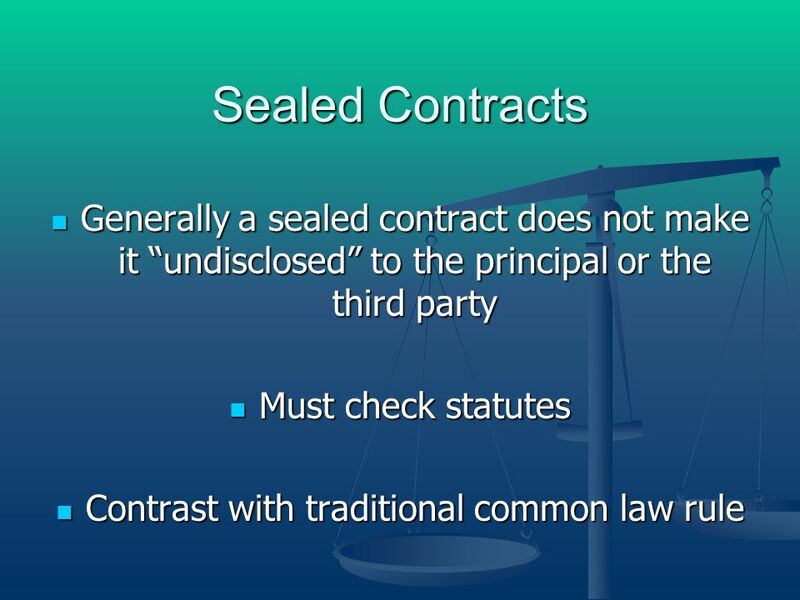 9-1 General Requirements - Enforceable Contract 1.Offer and acceptance 2.Consideration 3.Legal object 4.Competent parties 5.Legal form. Agency Law OBE 118 Fall 2004 Professor McKinsey The first step in understanding employment law is understanding what an agent is. 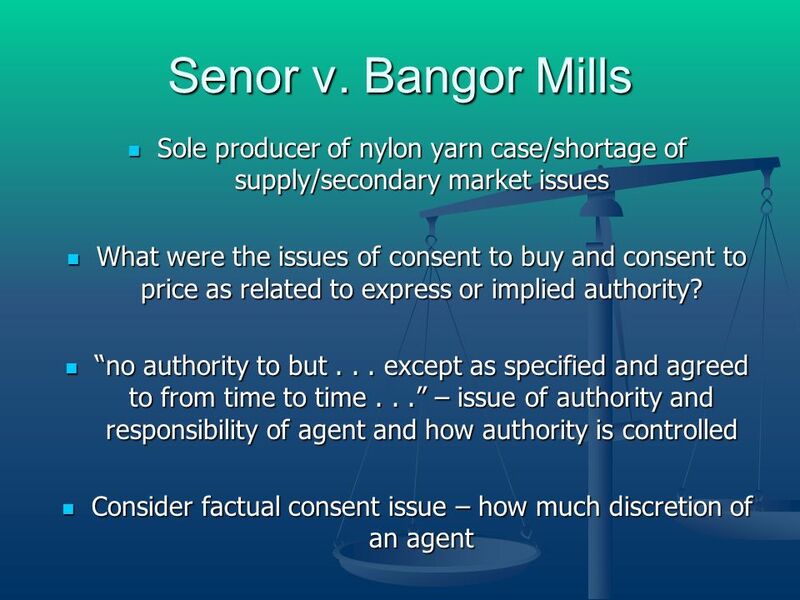 Agency law also complements. 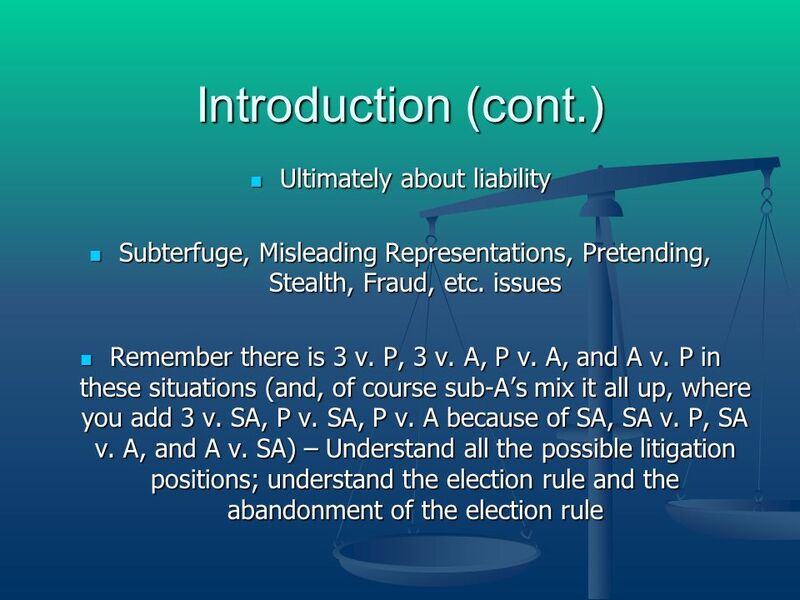 Chapter 9 Fundamental Legal Principles. © 2012 Cengage Learning. The Principal–Broker Relationship: Agency Chapter 20. RISK MANAGEMENT FOR ENTERPRISES AND INDIVIDUALS Chapter 9 Fundamental Doctrines Affecting Insurance Contracts.